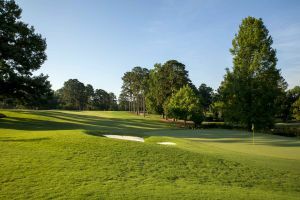 Popular with military members and friends, the tournament requires that the two-person amateur teams must have at least one active-duty, retired, or reserve military or National Guard member. Both rounds will be played on The Green Course. The tournament will consist of 36 holes on the Green Course. Saturday’s format will be four ball (two person, best ball) while Sunday’s will be captain’s choice. Handicaps will be used to determine Saturday’s pairings. Flights will be determined by Saturday’s scores. Teams are to be composed of two amateur golfers as defined by the USGA Rules of Golf. One player must be an active-duty, retired, or reserve military or National Guard member. The other player may be either civilian or military. Super Senior Championship (both players age 65 and over on November 10, 2018). The top teams in each Division will be awarded gift cards redeemable at either Pro Shop. completion of play on both days. Register online or by calling 800-648-6653 or 757-220-7696.